ST THOMAS, USVI — Ashley Warner, 54-years, of Tortola, Virgin Islands (VI) pleaded guilty today in District Court before District Court Judge Curtis V. Gomez, to conspiracy and possession of cocaine with the intent to distribute, United States Attorney Gretchen C.F. Shappert announced. 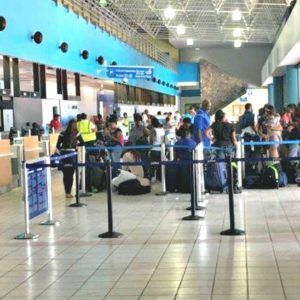 According to court documents, Warner was stopped by U.S. Customs and Border Protection (CBP) officers at the Cyril E. King Airport after it was discovered that Warner was attempting to smuggle 10 kilograms of cocaine through the airport to the U.S. mainland in coolers. Warner faces a sentence of not less than 10 years or more than life and a fine of $10 million. The case was investigated by the Homeland Security Investigations (HSI) and U.S. Customs and Border Protection (CBP) and prosecuted by Assistant United States Attorney Sigrid M. Tejo-Sprotte. Fether how you got it this mess? His mind was floating somewhere in La La land when he décide to pack cocaine in coolers. I Ritical missing in action lock up too. Dem man need to become politician. That's deh only way to thief millions and be scot free. What part of the bird did his feather get pick from? The bum? Surely not the wing.